There are usually specific reasons for prelaying. RockRose Energy has commissioned ERC Equipoise to assess remaining upside potential in the producing Blake field and the nearby Tain satellite discovery in the UK central North Sea. It says they’re reviewing whether to hold on to Bleo Holm until 2024. Will see if I can find something more current as this was published in September '18. "In December 2018, i3 received indicative terms from RSRUK for Liberator’s use of their leased Bleo Holm FPSO facility via Ross field infrastructure, and the parties are working together agreeing the terms for Liberator Phase I construction and tie-in, and transportation, processing and operating services agreements. These agreements are expected to be finalized alongside the 2019 field development plan (“FDP”) approval by the UK Oil and Gas Authority. As an alternative to the use of the Bleo Holm, i3 has also executed a Memorandum of Understanding for the provision of a standalone floating, production, offloading and storage (“FPSO”) vessel for the Company’s 2020 delivery of Liberator Phase I. i3’s lease of the FPSO would eliminate its reliance on access to third-party operated infrastructure." The good news regarding the fleet status report, is that Transocean Leader does not appear to have a contract after the drilling contract on the GWA field for HUR and Spirit ends. Albi1, Interesting, so not a done deal that Bleo Holm will remain on its current job. HUR are comfortable working with Bluewater so the Bleo Holm may just be our second FPSO. If the buoys are of similar design at Lancaster and GWA then perhaps the Bleo Holm and Aoka Mizu could swap locations if required to maximise production? Just speculating on the identity of a second FPSO . Bleo Holm doesn’t use a buoy. This forum keeps me entertained. Thanks for that. I prefer that system despite the fact that some sensitive bits are sub-sea; at least they are stationary there and the problems of moorings and hook-up are simplified. Getting the bouy and the AM to mate could be a bit fraught in the N Atlantic in winter. Transocean has issued its fleet update. Leader now showing as being with Hurricane from March. Although Spirit are still in the market for a supply boat with a start date of April 1st. 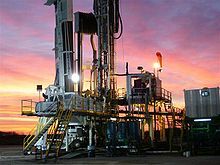 Three wells drilling March to October 2019, 1x Lincoln and 2x Warwick wells. I think the Lincoln drill will be the first of the three and if (when) successful it will be tied back to the AM as a producer. So which event will be first, the spudding of the GWA well or first oil from Lancaster? Both events likely to be in April, but I think spudding will beat first oil. As a generality, we tend to go-on somewhat badly (I am included here!) when what appears to be an undesirable (but avoidable) event takes place. However, Bobsson’s interesting speculation on the ‘spudding’ of the GWA’s has caused me to re-visit on the complexities (both mathematical and physical) of Oil Well Control. The result of that re-visit is to increase the level of my tolerance to these unforced errors, howsoever frustrating -and expensive - they may be to our stressed finances. Caveat: Wikipedia (not WikiLeaks!) is for the Layman and not for the Rocket Scientist, imo. With all that has been going on recently, I find myself being able to fret about only one thing at a time. Until they manage to stick this buoy where it is supposed to go, and make sure it stays there, although I am sure the link you posted is highly relevant and interesting, I will save reading it for another day, lol. When hopefully Bluewater will have got their act together. Reciprocal Best Wishes, HTL. We are all well here, thank you. Thanks lawven, it was an interesting summary of the difficulties that drillers face. and more than one of the above reasons contributes to the formation of overpressure in a system. Thanks laserdisc. Things starting to happen on the drilling front. First GWA well to spud in April? I doff my woolly hat to you both and salute your steadfast duty to shipwatching in the face of adversity. But you’re quite right - not all about the rope - few other irons in the fire to be glad of.